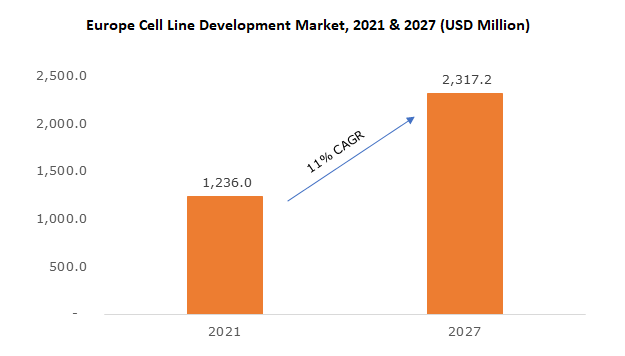 Europe cell line development market was valued at USD 0.9 billion in 2017 and is expected to witness growth of more than 12.5% CAGR from 2018 to 2024. Increasing prevalence of chronic diseases such as cancer will drive the Europe cell line development market. Cancer is one of the leading causes of morbidity and mortality in Europe. Extensive investment in R&D activities to reduce cancer burden in the region, will fuel need for cell line development for cancer treatment. Growing adoption of vaccines and monoclonal antibodies in treatment of various anti-inflammatory and autoimmune diseases will further foster the cell line development business growth. Growing demand for monoclonal antibodies (Mabs) is another major driver that will boost the industry growth. Monoclonal antibodies require stable cell lines for their production, therefore, with the rising demand for Mabs, the demand for cell lines will also increase during the forecast period. Rising awareness about cell therapy, and high healthcare expenditure will drive European market. Furthermore, technological developments in biotechnology industry will accelerate growth of drug discovery, gene therapy and cell culture techniques, leading to industry expansion. However, strict regulatory framework coupled with variable reimbursement issues pertaining to stem cell research may impede industry growth to certain extent over the coming years. Equipment segment held over 41.0% of market share in 2017 and is anticipated to witness significant growth over the coming years. 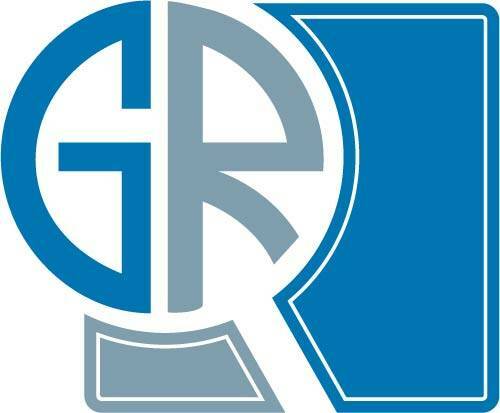 The growth is attributable to rapid development of recombinant protein therapeutic products, biosimilars and other innovative biological products. Advancements in cell line development technologies will fuel the demand for advanced equipment such as incubators, centrifuges, storage equipment and safety cabinets, thereby fostering the segmental growth. Hybridomas segment is estimated to witness highest CAGR of 13.1% due to its wide applications in large scale production of monoclonal antibodies. Increasing demand for monoclonal antibodies for disease treatment will propel the segmental growth. Pharmaceutical and biotech companies are investing on development of monoclonal antibodies and biosimilars that will further spur the cell line development market size. Drug discovery segment accounted for USD 106.6 million revenue in 2017. The segment is estimated to show considerable growth during the analysis period owing to high unmet need for cancer drugs as well as interventions for autoimmune diseases and inflammatory disorders. Demand for new drugs in the field of neurology, and angiogenesis is increasing. Rising prevalence of chronic diseases in Europe will boost the demand for monoclonal antibodies and vaccines thereby positively impacting drug discovery market. Vaccines and monoclonal antibodies are most commonly synthesized products in bioproduction. Increasing demand for such products will drive segmental growth during the forecast period. Germany cell line development market held considerable market share of USD 160.5 million in 2017 and is expected to show significant during the forecast timeframe. Increasing government investments in research and development activities, developments in healthcare facilities, growing demand for biologics along with moderately higher healthcare expenditure levels in the country, will augment the cell line development business growth. Prominent industry players operating in Europe cell line development market are Selexis, Sartorius, Lonza Group, Samsung Biologics, WuXi AppTec, GE Healthcare, Thermo Fisher Scientific, The European Collection of Cell Cultures, Sigma-Aldrich (Merck), GVK BIO, and Progenitor Cell Therapy. Industry players are primarily focusing on R&D activities to develop innovative and advanced products to capitalize on market opportunities in the cell line development industry. Europe cell line development market will show robust growth over the coming years owing to increasing developments in biotechnology industry. Growing adoption of cell line development technologies for production of vaccines and monoclonal antibodies will foster industry growth. Furthermore, technological advancements will serve to be major contributor for industry growth. For instance, in Feb 2016, Irvine Scientific launched BalanCD CHO Feed 4, a chemically defined, animal component-free powder feed to facilitate large scale bioproduction of high performing CHO cells.